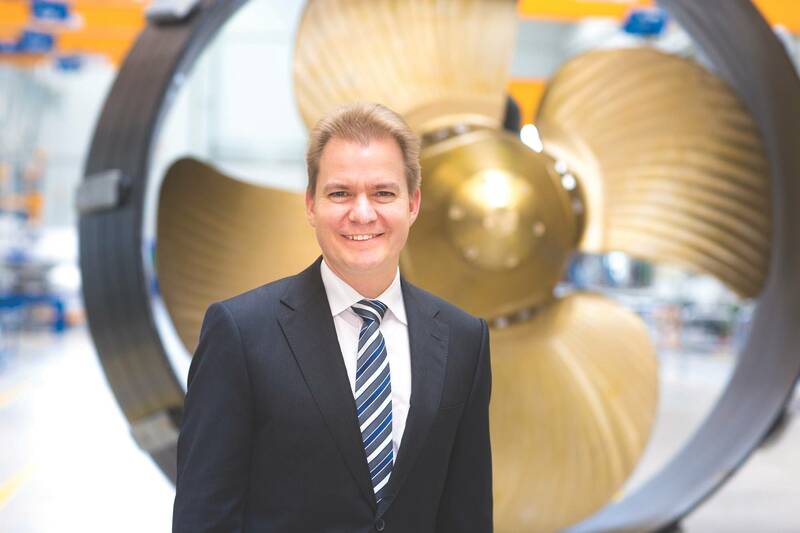 Schottel's Dr. Christian Strahberger, the energetic new leader for this ubiquitous maritime propulsion brand, discusses the strategy to prepare for the inevitable market rebound. Schottel, a ubiquitous German-based maritime propulsion company, is firing on all cylinders and preparing now for the inevitable maritime market upturn. The company's new Managing Director, Dr. Christian Strahberger, discusses the strategy. While the maritime industry endures an overall downturn, quality, long-term companies see opportunity amidst the challenge, using lean times to optimize operations and staff while plotting a course for the inevitable turnaround. This is the case at Schottel, led by its energetic new leader and CEO Dr. Christian Strahberger who joined Schottel in January 2016. 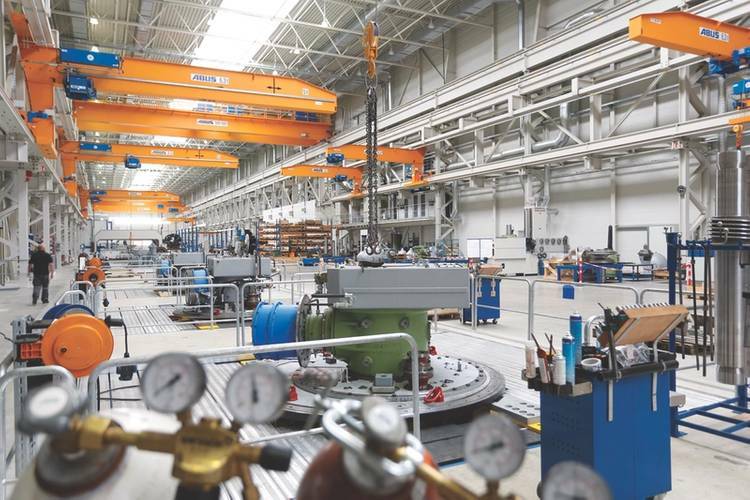 Like many leaders in this industrial sector, Strahberger recognizes that all of the machinery and technology in the world is only as good as the people managing and operating it. To that end he highly values the company’s human assets. While the tug, ferry and offshore business will always be staples, he sees potential in the megayacht market and inland waterways markets as ripe for growth. Beyond a specific market segment however, he sees opportunity everywhere as the industry evolves from fixed shaft lines to steerable thrusters. “You see this transition taking place in many sectors, and they are about to happen in others. I see this as a big opportunity,” said Strahberger. 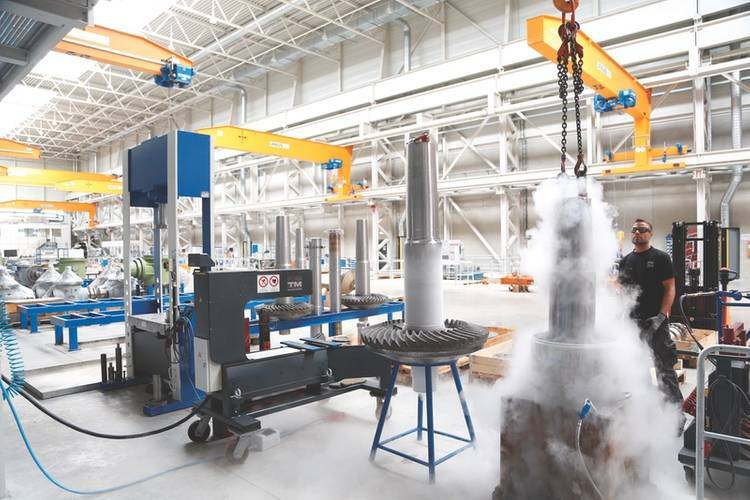 Schottel is committed to the entire value chain, and to that end it houses complete manufacturing steps in house, from raw steel and machining to assembly and testing, including CFD and in-house design. “This is a core concept to really understanding the product and quality control throughout the chain,:” said Strahberger. Schottel’s continued investment in this regard is plain to see, as it currently explores new means to help its ship owner clients meet new international emission, safety and environmental regulations. One such innovation is the Schottel EcoPeller (SRE), a thruster optimized for open sea and coastal operating conditions. The SRE is designed with hydrodynamic insights from CFD simulations and model tests, and it is designed to be a flexible and efficiency propulsor choice available in power ratings between 1,000 and 5,000 kW, in both FPP and CPP variants. Central to the SRE is another Schottel investment in innovation, namely the HTG high torque gears. HTG is designed as an efficient, robust gearbox with low maintenance requirements. Specifically the HTG enables bevel gears of the same dimensions to transmit up to 15 percent higher drive torque with the same safety margins. For the same drive torque, it is possible to have a more streamlined underwater gearbox housing, helping to increase overall hydrodynamic propulsion efficiency. Last but certainly not least, in 2015 Schottel commenced operations at a new plant near the company’s headquarters in Germany, and now offers customers a more rugged Rudderpropeller courtesy of an optimized coating process. The underwater elements of the propulsion unit are coated with several layers of hard, two-component epoxy resin, which according to the company is characterized by 2.3 times greater abrasion resistance and approximately 60% greater adhesion. Dr. Christian Strahberger took over as the Managing Director of Schottel GmbH in 2016. Strahberger, 42, is an industry expert with a strong technical and intercultural background. After studying in both Germany and the United States to earn his doctorate in Physics, he began working for Siemens AG in 2001 and later for the mechanical engineering company Voith in 2009. While there he held several managerial positions. Most recently, he has been serving as Chairman of the Board of Management for the Marine division of Voith Turbo Schneider Propulsion. He has extensive experience in the area of ship propulsion.